⇒ This card gives strong confidence to all employees about the management that it is fair and putting all its efforts to motivate sales staff, which in turn can enrich the sales of the organization significantly. The primary objective of this iBonus Employee Incentive Reward Card is to retain the old employees of the organization, increase productivity of the employees and to increase cost savings. So, if you really want to retain all your experienced and reliable employee of your organization then opt for this iBonus Employee Incentive Reward Card and stop chasing for any reliable and honest company to retain your employees. 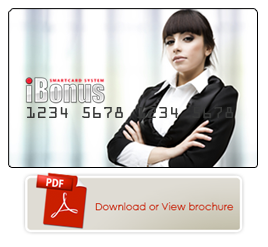 We have designed this Employee Incentive Reward Card by keeping the fair and best interests of your customers in mind. We always focus on assisting our clients in making right and cost effective decisions so as to enhance the bottom line of their organization. You may approach us anytime at +971 4 3338681 or write us an email on iBonus@avi-infosys.com and one of our representatives will get in touch with you.